Full Biography | Ralph Kirshbaum | Kirshbaum Associates Inc.
Having enjoyed a thirty-year collaboration with pianist Peter Frankl and violinist Gyorgy Pauk, he has in recent years appeared frequently with Pinchas Zukerman, Robert McDuffie, Lawrence Dutton, Peter Jablonski and Shai Wosner. Other recent collaborators have included Leif Ove Andsnes, Joshua Bell, Yefim Bronfman, Midori, Lang Lang, Vadim Repin, Joseph Swensen, Pepe Romero, and the Emerson and Takács String Quartets. Bach forms an important part of Mr. Kirshbaum’s musical activities; he has performed the complete cycle of Bach Cello Suites in London’s Wigmore Hall, New York’s Metropolitan Museum of Art, and in Sydney, Edinburgh, Lyon and San Francisco. He has also made a critically acclaimed recording of the solo Bach Suites for EMI/Virgin Classics. Mr. Kirshbaum recently performed Beethoven cycles with pianist Shai Wosner throughout the U.S. and Great Britain, highlighted by a performance of the complete cycle in London’s Wigmore Hall, in conjunction with the celebration of Mr. Kirshbaum’s 70th birthday. This performance was recorded live and released on the Onyx Classics label in December 2016, about which Classical Music Magazine remarked, “Kirshbaum…is in fine form with distinctive rich-yet-lithe tone and deeply intuitive phrasing. No detail is overlooked, yet each piece is allowed to unfold organically,” in its five-star review. Last season, Kirshbaum continued his performances of Beethoven’s cello and piano works with Mr. Wosner, with concerets at the Phillips Collection in Washington DC, at the Wallis Annenberg Center in Los Angeles, and at Chamber Music Sedona in Arizona. Kirshbaum founded the first RNCM Manchester International Cello Festival in 1988 as a celebration of the cello, its music and musicians. The final Festival, which took place in 2007, was awarded the important Royal Philharmonic Society’s Music Award for Concert Series and Festivals. 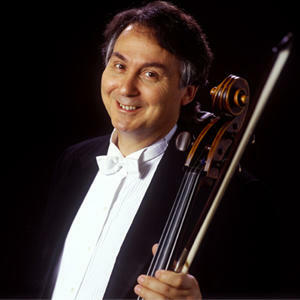 In 2012, Kirshbaum inaugurated the highly successful Piatigorsky International Cello Festival in Los Angeles, centered at the University of Southern California - Thornton School of Music. The Festival returned to Los Angeles in May 2016 and was attended by some of the world’s foremost cellists, rising young artists and concertgoers, receiving international acclaim for its concerts, masterclasses, lectures, and workshops. Mr. Kirshbaum launched the 2016 Festival with a performance of Bloch’s Schelomo with the Los Angeles Philharmonic, under the baton of Leonard Slatkin. A renowned pedagogue, he served on the faculty of the Royal Northern College of Music in Manchester for 38 years. In 2008, he accepted the Gregor Piatigorsky Chair in Violoncello at the University of Southern California’s Thornton School of Music, where he recently assumed the role of Chair of the Strings Department. In July 2016 he received an Honorary Doctorate of Music from the Royal Conservatoire of Scotland in Glasgow. He continues to serve as Artistic Advisor of IMS Prussia Cove and is Founder/Honorary President of the Pierre Fournier Award, as well as Honorary President of the London Cello Society. He served a five-year term on the United States President’s Committee on the Arts and the Humanities. Ralph Kirshbaum’s many recordings have included a Gramophone Magazine “Record of the Year” world premiere recording of Tippett’s Triple Concerto for Philips, the Elgar and Walton Concertos for Chandos, the Ravel, Shostakovich and Brahms Trios for EMI, the Barber Concerto and Sonata for EMI/Virgin Classics and the Shostakovich and Prokofiev Sonatas with Peter Jablonski for Altara Music. Also noteworthy is his recording of the Brahms Double and Beethoven Triple Concertos for BMG Classics with Pinchas Zukerman, John Browning and the London Symphony Orchestra, conducted by Christoph Eschenbach, and the recent Hyperion release of the Schubert Quintet with the Takács Quartet. The rare Montagnana Cello that Ralph Kirshbaum plays once belonged to the 19th-century virtuoso Alfredo Piatti. AUGUST 2017 - PLEASE DESTROY ALL PREVIOUSLY DATED MATERIALS.